Remember when Halloween meant John Carpenter, The Exorcist (the film was given a theatrical release on that day in 1998, ahead of its first post-Video Recordings Act home entertainment release), all-nighters at London’s Scala and other venues? Recent years has seen a boom in the Halloween business, but much of it has been at the lower end of the market, in terms of age groups. Instead of teenagers pranking grown-ups and grown-ups watching all manner of scary goings-on, October 31 has become the preserve of pre-teenagers out and aabout in fancy dress trick or treating. And as the concept of trick or treat has grown, so the supermarket shelves have become lined with Scooby-Doo and DVD treats aimed at the younger audience, rather than grown-up horror. Seasonal Halloween promotions now tend to focus on a younger crowd. So it’s good to see a few suppliers, particularly UK-based operators, still looking towards the middle and end of October to release more adult-based fare. One of those is Momentum, which has a clutch of diverse horror titles due in the month. These range from the A-list to more DTV fare, altthough in the case of these, the likes of We Are The Night comes on the back of a successful launch through this year’s Film4 FrightFest event. As the company’s Kristin Ryan says: “As a release period, Halloween is still a solid opportunity for both big A releases and smaller niche DTVs. 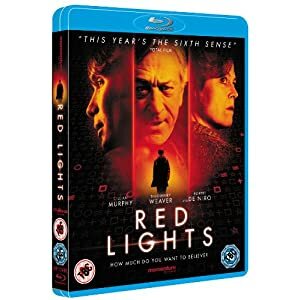 Red Lights, the biggest of the trio, it comes with a suitably sizeable campaign.